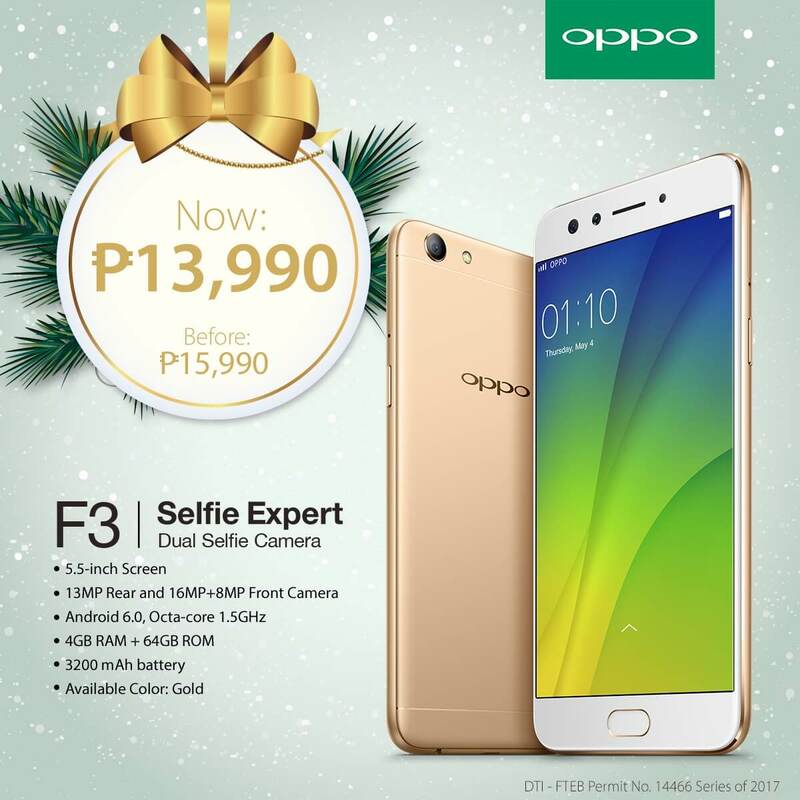 OPPO knows how to treat its fans this coming holiday season, as the brand announced its Selfie Expert Christmas Sale, dropping some of the price tags of its selfie-centric smartphones: the F3 Plus, F3, and A57. Originally tagged at PhP23,990, the F3 Plus is now more affordable through the brand’s promo. Flaunting a 6-inch FHD AMOLED screen, the device is powered by 653 octa-core processor clocked at 1.95GHz. It has 4GB of RAM, 64GB internal storage, and 4,000mAh battery, as well. As a selfie-centric device, it sports 16-megapixel + 8-megapixel front cameras, and 16-megapixel rear shooter. 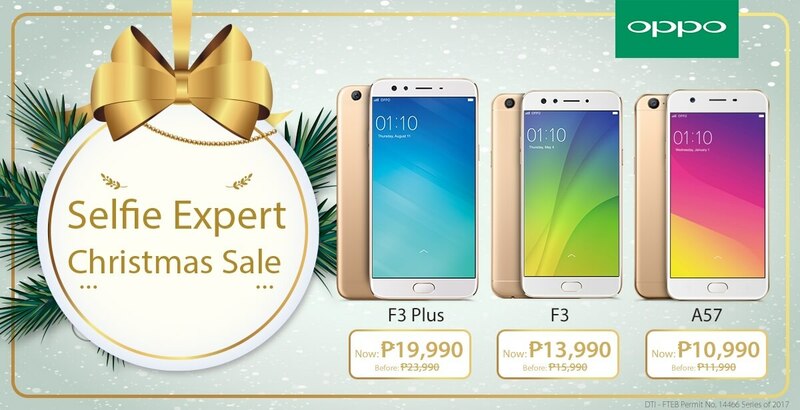 You can now get the F3 Plus for only PhP19,990. Meanwhile, the 5.5-inch F3 model is equipped with octa-core processor, 4GB of RAM, 64GB internal storage, and a smaller 3,200mAh battery. However, just like the F3 Plus, it boasts 16-megapixel + 8-megapixel front cameras, too. It has a smaller 13-megapixel rear camera, though. From PhP15,990, the F3 is now priced at PhP15,990. For a more affordable selfie device, consumers can also consider getting the A57. It is powered by Snapdragon 435 octa-core processor, and is complemented with 3GB of RAM and 32GB internal storage. It sports 13-megapixel rear camera and 16-megapixel front shooter, too. 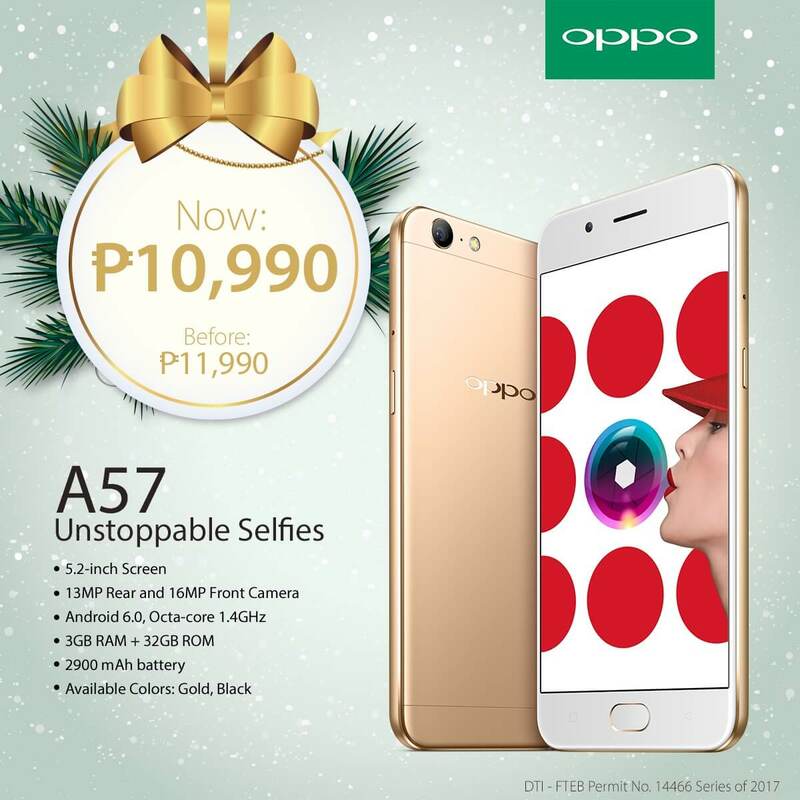 From PhP11,990, consumers can now buy the A57 for only PhP10,990.